Have you realized that your pattern imprinted concrete sealer has started to look a bit worn, and it does not look like it used to, has it gone patchy in areas where the car is left? Is it slippery underfoot when its been raining? And is your pattern imprinted concrete starting to lose its colour? 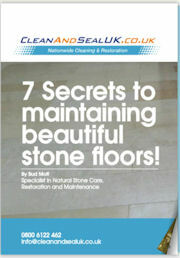 Don’t panic, this is something that CleanAndSealUK can restore for you today. We have the best pattern imprinted concrete sealer service in the UK, our concrete sealer service will not only give your pattern imprinted concrete protection, it will make it look like new and with our anti slip additive make it safer for you to walk on when its wet. And with annual maintenance from CleanAndSealUK your pattern imprinted concrete driveway will look great for years to come. Knowing what pattern imprinted concrete cleaning entails means we are able to make sure that your pattern imprinted concrete cleaning is done with the greatest care and upmost respect to you and your driveway. We also know that you have spent a lot of money on you pattern imprinted concrete driveway and would not be happy to have it cleaned by someone who has no idea about pattern imprinted concrete cleaning and could ruin it with the wrong procedure and chemicals. If you would like to know more about our pattern imprinted concrete cleaning service then call CleanAndSealUK today for a chat. If your pattern imprinted concrete driveway has lost its colour and it looks sad and neglected then contact CleanAndSealUK today, we can put the colour back into your pattern imprinted concrete driveway with no fuss. With our vast experience in colouring concrete driveways it makes it easy for us to make your concrete driveway look like new once again. We love to make your pattern imprinted concrete driveway the best on your street. You might even fancy a change in colour for your concrete driveway, that is why we offer you our exclusive pattern imprinted concrete recolouring service. You can choose from our range of colours giving your driveway a totally new look at a fraction of the cost of a new driveway.